Lawrence Au was born in New York City in March 1986. 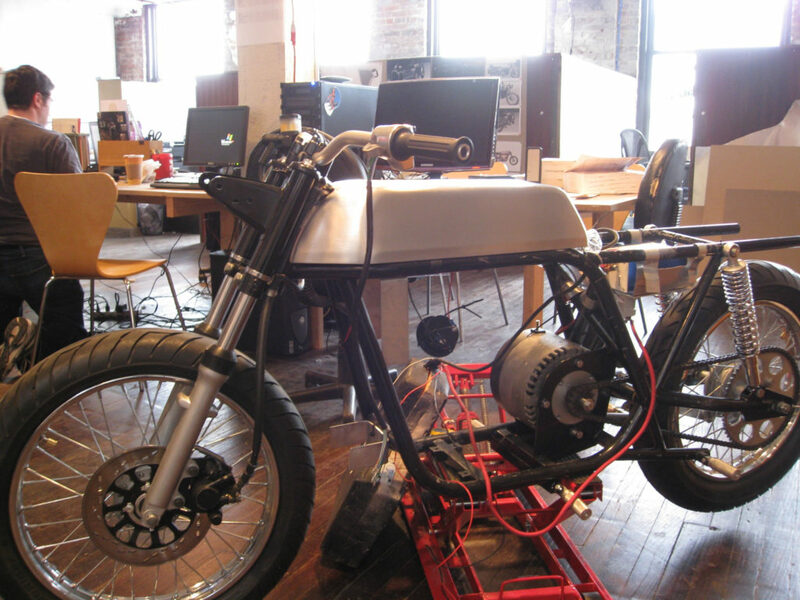 Unless you’re in the NYC vintage bike scene, a Pratt Institute Student, or a connoisseur of electric motorcycle companies, you’ve probably never heard of Larry. 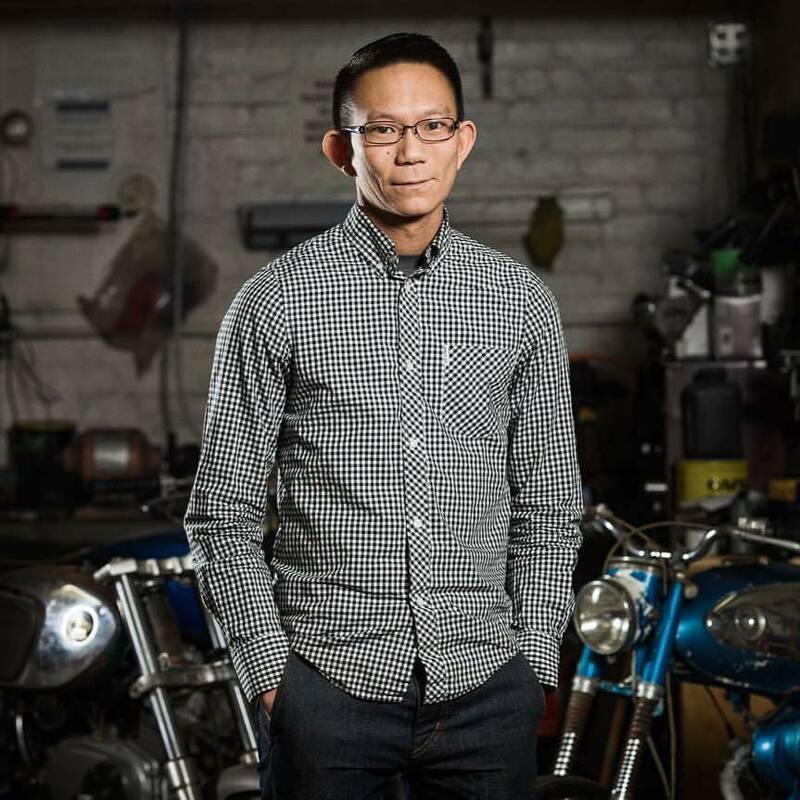 He’s been deeply involved in 3 electric motorcycle startups, and now teaches in the Industrial Design department at Pratt, while consulting with companies on motorcycle and product design, with manufacturing and production his specialty. He also runs a co-operative motorcycle parking garage and shop space in Brooklyn. Who exactly is Larry Au, and why should you care? 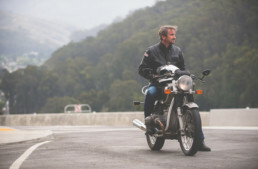 The future of motorcycling may very well reside in his 32-year-old brain. Larry, how and when did you take an interest in motorcycles, and when did electric take over your brain? I’ve always had an interest in anything and everything mechanical even as a child. I wasn’t exposed much to motorcycles, but probably around the age of 9, the transportation bug started with automobiles. Both my uncles were into automobiles, one was a BMW guy the other was a Mercedes guy. At that time, they were both looking for new vehicles and I remember grabbing every issue of Auto Trader at the supermarkets when I would go with my mother. Constantly flipping through each page in search for the golden treasure to show my uncles that weekend. After that, the bug of grabbing motorcycle magazines and flipping through them to study every aspect took place. I grew up in a very traditional first generation Chinese American family and was the first in my family to be born in the US, so I was expected to be good in school and to follow the path of the normal stereotypes. If I wasn’t in school, I was at taekwondo practice, piano lessons or after hours school prep. Let’s just say I was not the best student, because all I wanted to do was draw, paint or tinker with mechanical items to take apart, modify and make better. It wasn’t until I got into college I had the free time to really play with motorcycles. Hell, even doing two to three all-nighters every week to try and be the best when it came time for studio critiques every week. By then I didn’t have vigilant Asian parents dictating my every minute, so I could then ride and play with motorcycles. At the time, I was really into modifying vintage mopeds such as Puchs, Peugeots, and Minarellis because they were easy to find, cheap and relatively easy to modify and make faster with just a Bridgeport mill, lathe and hand files. I remember when I was in college at Pratt Institute in Brooklyn studying Industrial Design, I had a few small motorcycles (Honda CB350s, small frame Vespas, Lambrettas, Jawas, Bridgeports, Benellis, Yamaha G7s and mopeds; I was a two-stroke guy back then) and I would take them up into my dorm room to tear down the motors and rebuild. There was one day I went to try and take it into the dorms and the security guards stopped me, as they had taken several screenshots of their video footage with a memo stating, “Do NOT let this individual take any motorcycles or car parts into any building.” Up until then, the line of ‘I’m a transportation design student and this is my project’ worked quite well. Apparently they did not view my idea of paying for a space to live in for the year as I did. I was also doing oil changes in front of the sidewalks to the studio spaces and testing the bikes at night by riding up and down the closed main street on campus. Which later on now, as a professor there, I can see why they would frown upon that. I did that throughout college, flipping bikes as I went to help pay for expenses. During the end of my college days, I started working for Team Obsolete in Brooklyn with their high-end vintage racers. I had originally met up with and been friends with a lot of NYC VinMoto and the other USCRA race guys, but it wasn’t until later I worked up enough funds to build a race bike and start getting some track time. But, my “senior” year of college—with my extended college time—I started working for Jim Carden and Andy Templar at Brooklyn Motorized Corp. 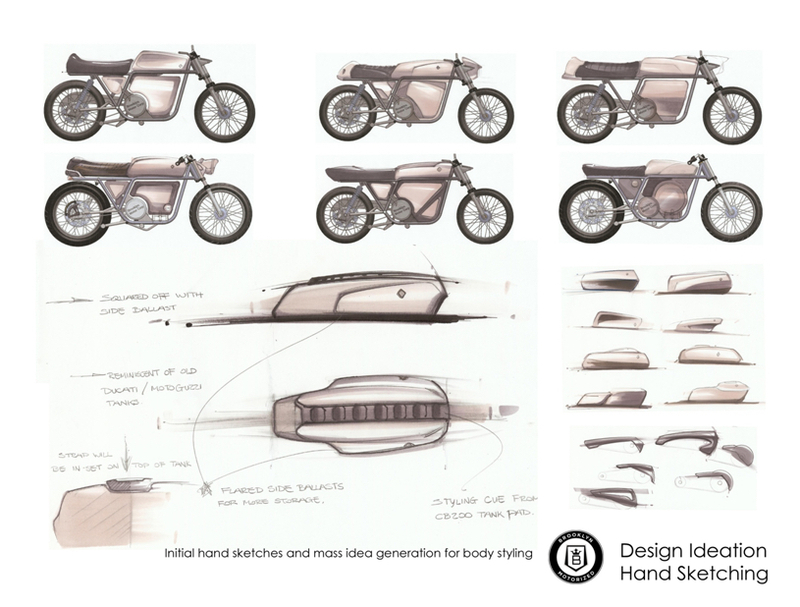 It was a real boot-strap electric motorcycle company and I came in within the first month of inception, which ultimately wrapped into being my senior thesis undergraduate project. There was a posting looking for industrial design interns for a electric motorcycle company, and the stars aligned. In 2008, I started as a intern, worked my way to be a staff designer, then lead designer and ultimately upon the company being dormant and playing such a obsessive role, was named as a co-founder. The friends I met at that time—Wes Cox, also a Pratt graduate and director of design and development and Michael Shmuckler, lead electrical engineer—have become friends for life. Even now, as we still talk regularly, we’re always striving to recapture the feeling of our team we had created during our time there and are constantly yearning for that in the jobs we’ve held since. Ever since that first ride of our working prototype and not realizing that WE had to check the programing of the throttle curve on the drive-by-wire Magura throttle and motor controller—and wheelie-ing down the block on my duct-taped couch pillow of a seat—I was hooked. Also—as this was not too far after 9/11—riding our beloved first prototype just to log seat time, data logging and test components, let’s just say that what our first test bed looked a lot like a two-wheeled bomb with wires everywhere. And it’s very easy to get trapped in lanes of traffic with no other option than to ride into the Brooklyn Battery Tunnel. The transit police were not impressed with a untitled homemade frame, no lights or indicators chassis and wires wrapped and poking out from the main opening of our Norton Featherbed inspired design. I should also mention that at the time, I had a obnoxious red white and blue vintage Bell helmet, with a giant vinyl sticker of a middle finger on the side. As I used to just point to the sticker instead of getting angry at rogue cab drivers. Tell me as much as you can about the three electric motorcycle companies you were involved with, and what you learned from each experience. Brooklyn Motorized was the first, and most of it is explained in the previous question. But that company really was the most amazing team of people who were all genuinely enthused to be there. We got up every day to work 12-14 hour days, hit the bar a little bit after and went home to do it all over again the next day. There was not a single day that it felt like we were at work. If anything, I should have been slightly more selective about interns at the time. There was one summer that we regard fondly as the summer of “Intern Army”. We had at that point maybe somewhere in the area of 30 interns, that we had to rent a separate space next to our offices in that building just to house everybody. It was just an exciting time because there was nobody else doing what we were doing. Brammo had just become a reality and Zero had not released anything yet. 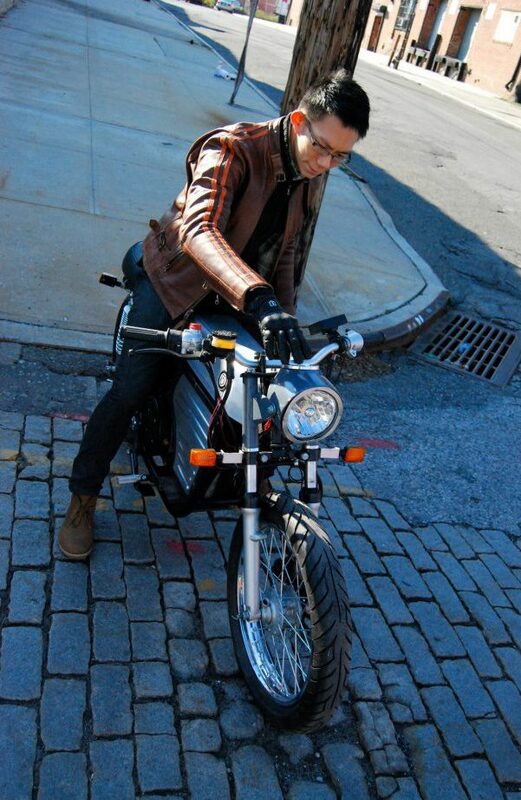 Nothing to date had taken the space of a small, light, urban commuter with a classic standard styling that was truly designed for the day-to-day beating of a NYC motorcycle. We were young, fearless, unrelenting, but with that came underfunded and we were making mistakes and learning as we went along. 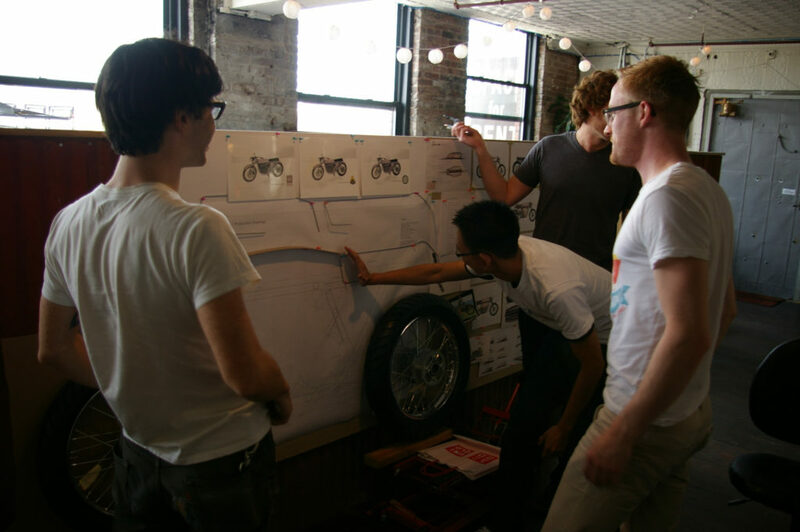 At Brooklyn Motorized, I would say that we had the right team, right leadership, correct drive to cultivate the American ‘can-do’ attitude, but it was the crash and recession and we did not have the $10 million funding with VCs nor the connections. We were just a few guys that really believed in what we were doing and at the time, too early and unable to continue after four years of struggling every day to make it happen. 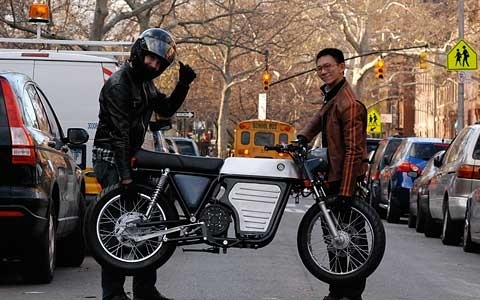 The next company was Evolve Electric Motorcycles out of Williamsburg, Brooklyn. This was an interesting time for me. After Brooklyn Motorized, the feeling that my whole team had was if their child had died, wife left, dog got hit by a car and getting evicted at the same time. Shortly after, one of my friends sent me a link to a posting looking for a motorcycle designer/industrial designer for a electric motorcycle company. I was hesitant but at that point it was so much a part of my life, everything I did revolved around bikes, friends and my motorcycle shop. I thought I’d go in to meet with them anyway. Instantly, I was charmed to see that they had a small showroom on Grand Street, and scooters that resembled Vespas/Piaggios that were either fully electric or gas/electric hybrid that you could switch riding modes with a flip of a hand control switch. They brought me on board to be their Director of Design & Development. This company, in my mind, had certain aspects correct. From the two that started it, one was from finance and acquisitions and the other was from the fashion world. They got enough products to market on their own to get sales up in order for me to come in and try to start really developing and designing motorcycles for them. But unfortunately, as we all know in our motorcycle world, acceptance is a large part of what a company and brand needs to be successful. We had made some interesting headway into starting to develop their own first gen motorcycle, but ultimately after a year or two the same fate had followed. There was a really interesting component of a Peer2Peer type app connectivity we had developed when we were there for urban riders and friends. There was a working prototype and touch screen that we grafted onto a scooter which would ping back to the dealer giving vital stats of the bikes and if you had friends riding near by, it’d have different metrics that you could share at the same time. I even gave a TED talks type of presentation at the Apple store on 5th Avenue near Central Park on the bikes and new wave of technology integration and exciting things to come, if I remember correctly. But once again, recession time and funding led to the same fate of Brooklyn Motorized. After the first two, the dreams of doing EV tech and motorcycles were pretty low unless I ended up moving across the country to work for Brammo and Zero. And even then, it wasn’t necessarily my taste. My background at that time was vintage and also factory race bikes. My selfish desire to develop electric motorcycles was to A) have a awesome, fun, light, and fast daily commuter and B) to save the gasoline and race fuel for me to go racing on the weekends. At that time, I had a 1996 Yamaha TZ125 factory GP bike. 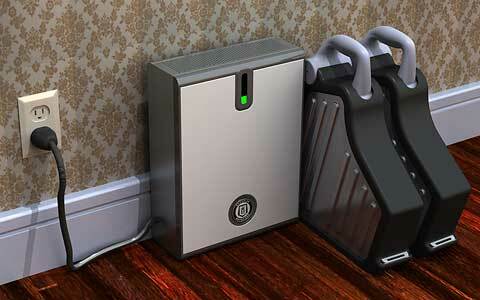 It’s not a question about whether or not fossil fuels are going to run out, but when. So wouldn’t it be nice to save that stuff so we can play on the weekends? Especially if our daily commute is only a few miles? I then consulted for another company that never really left the ground. I believe they realized to call it quits when I told them that in order to even get to a small first run of manufactured bikes going, they would need around $4-5 million. Many people don’t realize what is involved with taking on such a task, to become a true OEM manufacturer and set up production with even several employees take mountains of effort, logistics and capital. 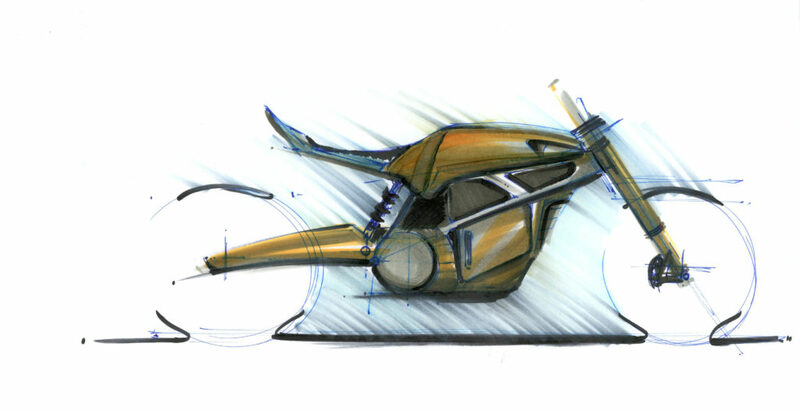 Currently, I am helping out another New York-based electric motorcycle company which shows promise. Not everything is finalized yet so I will not mention them. But in the 10 years of working as a motorcycle designer, I have also worked manufacturing and production of large scale and volume industrial products, web dev app mobile technology, and general product design. 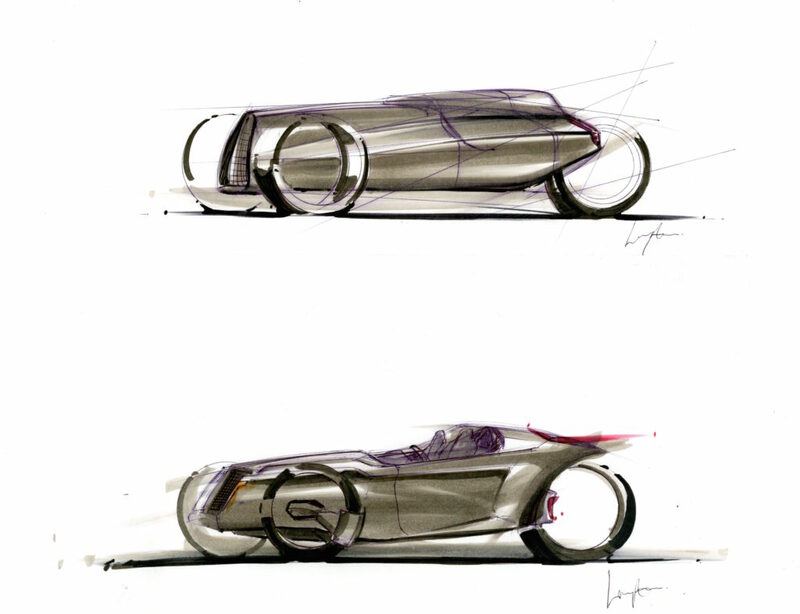 I believe every different job I took made me a better designer, because I did not fall into the usual ‘industrial designer’ aspect of doing transportation design. I was for a long time the mechanic at the receiving end of these products, I was the racer/tuner, I was the guy designing and checking the frame jigs and injection molds, so I’m going to have a very different view on them as we go through the development process. I currently help many custom motorcycle builders and shops on projects when they need me, I do design work and CAD via SolidWorks, make the files for CNC and run FEA and stress analysis on frames, different components. I work with race teams in the MotoAmerica race series as well. 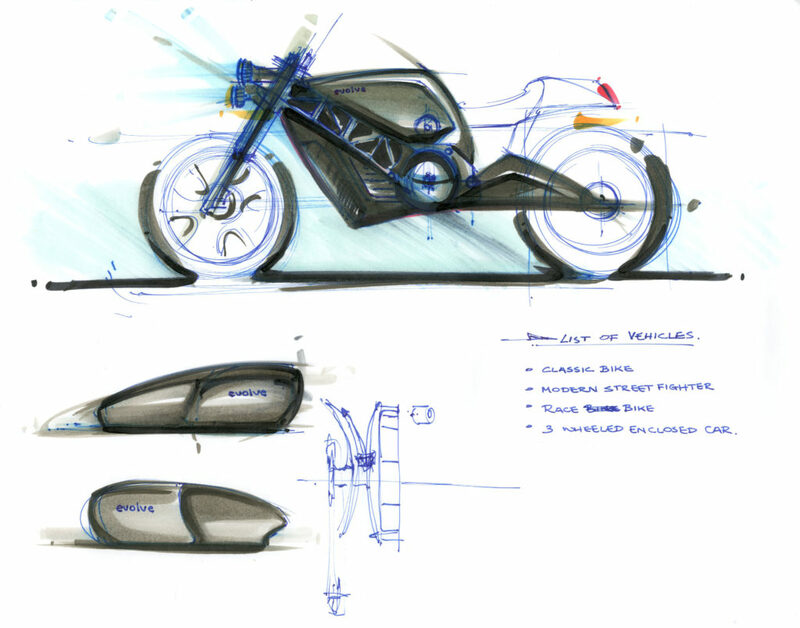 Currently I teach three nights after work at the Pratt Institute: Motorcycle Design & Engineering, CAD Solidworks and 3D Form & Aesthetics. Being back teaching in the same studios that made me who I am—after working the whole day and seeing my students get better—inspires me when it’s time for me to work the next morning. 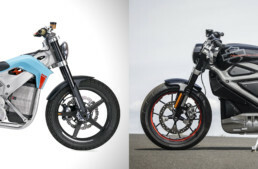 Do you think all three were ahead of their time, and maybe consumers weren’t quite ready for e-bikes? They weren’t necessarily too early in certain aspects, but yes; as a majority we still aren’t there yet all the way for EV. 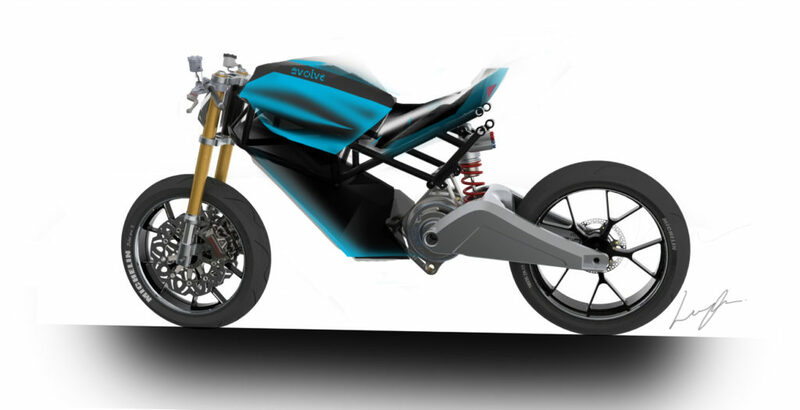 Look at Brammo and their 10 years of development with the Enertia platform that lead to what is Victory’s e-bike. I haven’t had the chance to ride one yet, but that six-speed transmission is something I’m not 100 percent certain yet is fully worked out. I tried doing it; damn it’s hard to resolve! As a general whole, the battery technology from 10 years ago hasn’t changed all too much as far as the cell formulas or chemistry, the prices have just dropped. But with Brammo and Zero being in the market eye for a while and companies such as Energica that have been pushing towards racing, I think the general public have started taking e-bikes more seriously. I just truly believe that electric motorcycle companies need to position and prove themselves to be first and foremost bike people. That it is all driven by our passion and love for motorcycles and our community. Bikes are great, but our friends in the industry and community make it better. Which motorcycle/moped/scooter companies do you follow and why? I follow Indian and Harley-Davidson, of course. I was born and raised in the US, so I would love to see them make a strong comeback to try and match the numbers of the European and Japanese companies. I’m a bit of a secret American redneck at heart even though I live in NYC. Last year, Keino and I took a road trip to Milwaukee since he was showing one of his bikes at the Mama Tried Moto Show and we went through the Harley Museum. That was really eye-opening for me since I’ve never been that large of a Harley person since the only experiences I’ve had previously with them were working on the factory XRTT and KRTT race bikes at Team Obsolete. But walking through the museum really made parallels with my early experiences and grassroots bootstrap scenarios I’ve experienced and keep experiencing to this day. I also follow BMW closely. I currently own a 1956 BMW R26 that I’m in the process of restoring. The engineering that goes into their bikes are what my nerd dreams are made of. They really follow the evolutionary process when it comes to refinement of components. 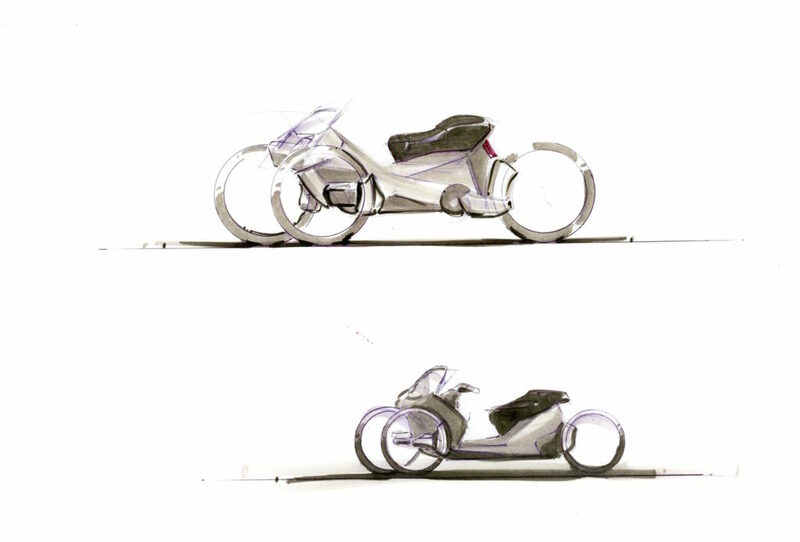 Do you have more modern e-bike designs and concepts bouncing around in your head? Hell yes! I’ve been trying to scrape up some extra cash to make a new design (frame, motor assembly, battery enclosures, etc.) 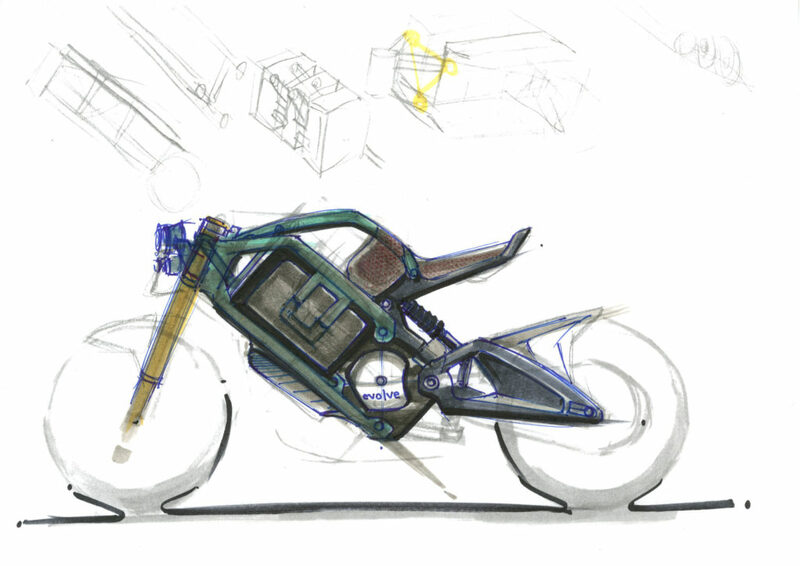 I’ve been working on for an e-bike concept. There’s also been a interesting modern girder type fork I’ve been toying around with that I would like to CNC and play around with the geometry.